Running is becoming ever more popular amongst the community with a growing number of fun runs, like Park Run, being held all around the country. It is concerning that over a period of 1 year, up to 80% of runners will sustain a running related injury. 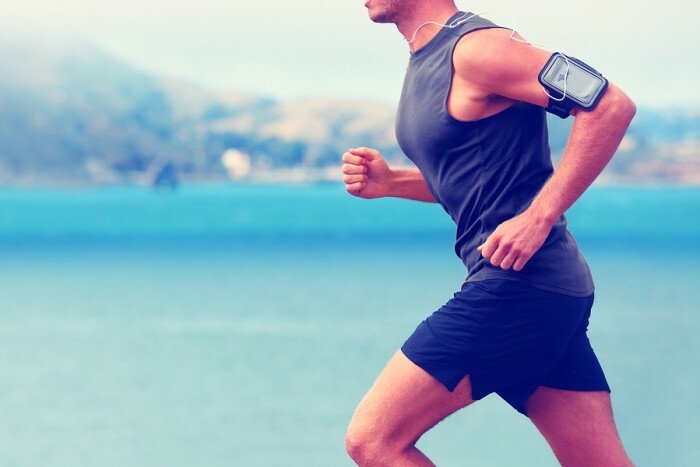 With an ever increasing number of avid runners hitting the roads and clocking up mileage week after week, it is important that athletes take preventative measures to reduce injury risk. Most individuals that take up running do so without thinking about laying a foundation of running specific skills or strength. They just start running and it is not surprising that somewhere down the track, they develop an injury. Running is no different to other sports. You must practice the specific skills involved and increase the strength of the specific muscles used – just as you would for football, netball, soccer or basketball. Development of running specific skills and strength is crucial to reducing your risk of injury and improving running performance/efficiency. Put simply, injury occurs when load exceeds capacity. In terms of running, this means that when load (training volume, frequency, intensity e.t.c.) exceeds an individual’s ability to absorb load (including muscle control, strength, stability, technique e.t.c.) risk of injury is increased. We need to try to increase capacity or decrease the load to reduce injury risk. This can be achieved by skill and strength training. Running places large amount of force on the body from multiple directions. As mentioned, adequate muscle strength is required to overcome these forces and stabilise the body to prevent injury. This stabilisation occurs during the stance phase of running which lasts less than 1 second. Therefore, stabilisation must occur very quickly and without conscious activation of muscles. There must be adequate strength and timing/co-ordination of muscle activation for this to occur. 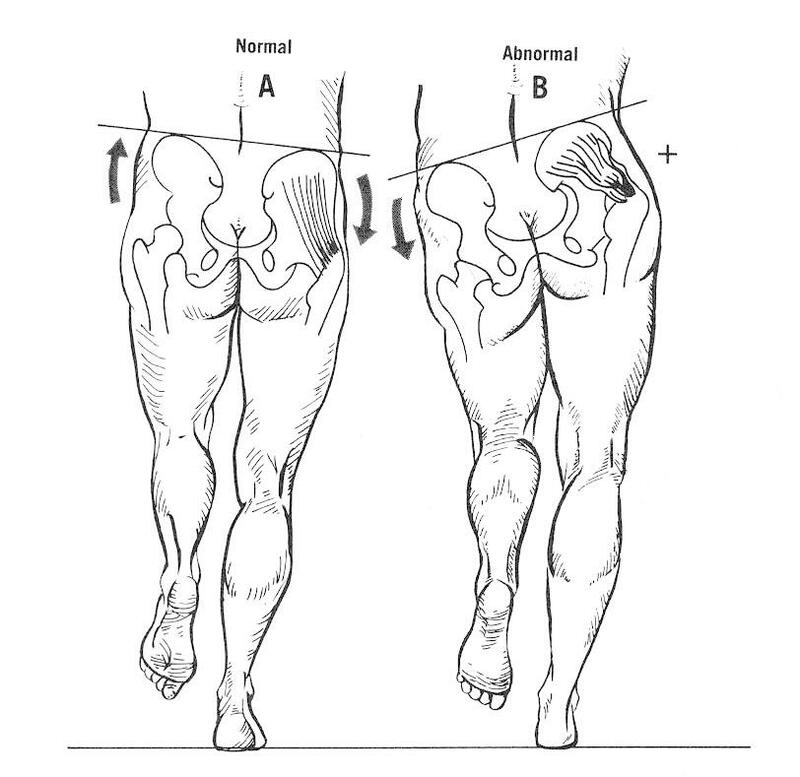 Poor hip stabilization due to weakness of right gluteus medius resulting in hip left hip drop. 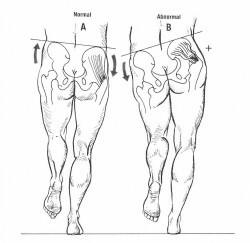 This can lead to injuries including gluteus medius tendinopathy and patella-femoral pain syndrome. It is common for runners that do strength training to train those muscle groups that help propel us forward when running (glutes, calves, hamstrings). Although any strength training is better then none, when running the body must stabilise the hips, knees, ankles and trunk in the lateral and rotational planes. This must also be addressed in the strength program. Training the muscles that help to stabilise the body is very important as deficits in these stabilising muscles often leads to injury. No one can a build a house without laying the foundations first. As well as conventional strength exercises to strengthen muscles that propel us forward, it is important to also perform multiplane exercises and drills. This will increase the strength of the stabilising muscles and strength in the rotational and lateral planes. A good place to start is making sure you are getting glute activation. A good exercise for this is the glut bridge, ensuring you feel it more in your glutes than your hamstrings. This can be progressed to a single leg bridge which will require greater contribution from the deeper glute muscles. I encourage you to read Anatomy for Runners written by Jay Dicharry which has some great information on strength training and running biomechanics. Running is a great sport. It is good for physical and mental health, gets you outdoors, gives you a sense of achievement and can be a great social activity. If running injury free is your goal, I recommend you train your muscles and body correctly to support it.